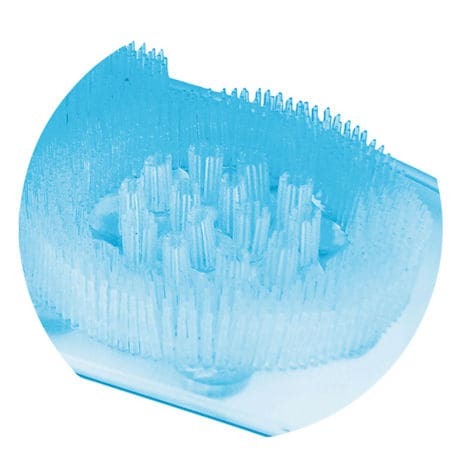 Upgrade your shower experience with the Dual Sided Back Scrubber! One side uses interwoven small and large bristles to reach all of the surfaces on your back, so you never miss a spot. 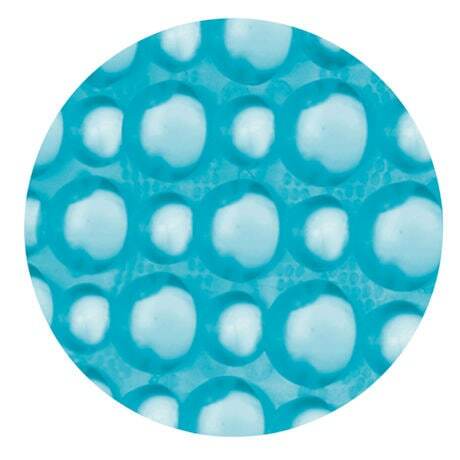 The other has a textured side that delivers a soothing massage to help relieve discomfort and tension. Double ergonomic grips make scrubbing your back effortless even for those with limited flexibility. Blue Green. 34.5" long.